Dr. Chen currently a Resident in the Department of Radiology at the University of California, San Francisco, CA (UCSF). He received his medical and graduate training at Boston University School of Medicine, graduating in 2003, and served as a medical intern at UCSF. His basic science research interests include investigating what signals cause a normal cell to proliferate in the setting of inflammation as well as tumorigenesis, with a mind toward developing small molecule pharmaceuticals and imaging probes to monitor and possibly modulate dysregulated growth. His current clinical focus is on exploring the potential role of imaging in assessing the permeability of vessels in response to injury. 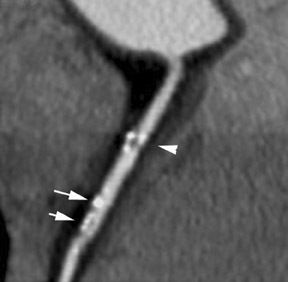 The atheroma has a central role in coronary artery disease pathophysiology, focusing interest on noninvasive imaging for detecting at-risk populations that are harboring vulnerable plaque. 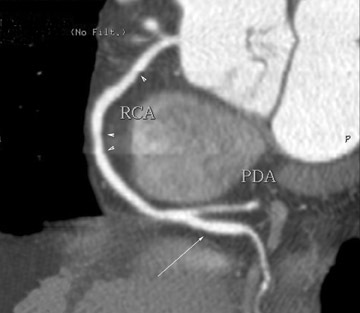 Coronary artery calcium scoring with computed tomography (CT) is already an established technique, awaiting formal validation by prospective trials. Cardiac CT angiography (CTA) can assess for significant luminal stenosis and identify nonstenotic atherosclerotic plaques. Therefore, alone or in combination with other modalities, cardiac CTA will potentially be useful for risk stratification of asymptomatic individuals, but clinical applications are not yet supported by rigorous outcome data. Noninvasive characterization and quantification of plaque burden is likely to have important implications in prevention of coronary artery disease progression. Coronary artery disease (CAD) continues to be a leading cause of mortality and morbidity, stymieing screening approaches to predict risk for future debilitating events, despite intensive investigation and significant interventional advances. More than 1 million Americans and nearly 20 million people worldwide suffer from acute coronary syndrome (ACS). 1 The estimated healthcare cost to manage end-stage cardiovascular disease is in excess of $350 billion, which does not account for the associated cost of loss of productivity. 2 Therefore, it is very important to develop effective approaches to identify early CAD. Rapid progress in cardiac computed tomography (CT) now enables not only the detection and quantification of coronary artery calcification (CAC) but also the grading of coronary stenosis. 3-9 The contrast resolution afforded by CT potentially may permit assessment of the blood vessel wall, which would allow physicians to shift the emphasis in CAD from the "end game"-the hemodynamically significant lesion-to a more remedial point earlier in the natural history of the disease. 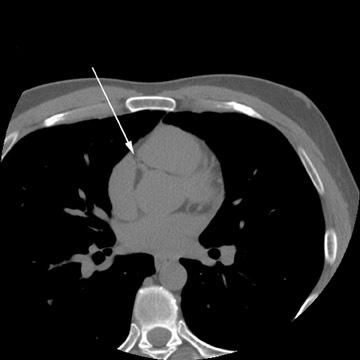 Moreover, since ACS is believed to be caused by atherosclerotic plaque rupture, CT evaluation of coronary artery plaque may yield a more effective approach to risk stratification than with current strategies, which rely more on assessment of clinical risk factors such as age, gender, family history, hypertension, dyslipidemia, diabetes, and tobacco usage. For decades, the paradigm for pathology in CAD focused on the degree of luminal stenosis, in part because the primary imaging examination for CAD was angiography and also because clinical success was noted following revascularization procedures that targeted critical coronary arterial stenoses. In short, CAD severity was viewed as dependent on the degree of luminal narrowing, and atherosclerosis was primarily thought of as a focal disorder. However, more recent work has triggered a shift in this thinking and has elucidated the importance of arterial remodeling, suggesting a new way to improve patient outcomes. It is now believed that, for much of its life history, the atheroma expands extrinsically from the vessel lumen, rather than inward, an adaptive process called "positive remodeling." 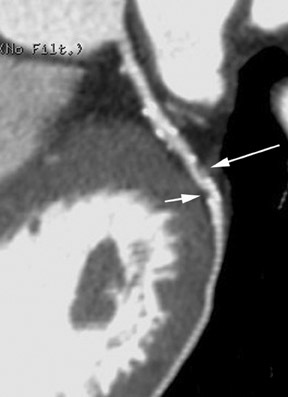 10,11 The implication is that a nontrivial atherosclerotic plaque burden can manifest even in the absence of stenosis. Ergo, substantial disease could exist but remain occult to angiography. Newer techniques, such as intravascular ultrasound (IVUS), have substantiated this hypothesis. 8,13 Indeed, by the time coronary angiography reveals flow-limiting stenosis, intimal atherosclerosis is typically present in a diffuse distribution. Intravascular ultrasound studies have shown atherosclerotic lesions even in adolescent and young adult Americans. 14 Much research has targeted the so-called "vulnerable plaque," or the atherosclerotic lesion that is thrombosis-prone, which has a high probability of undergoing rapid progression and rupturing. The vulnerable plaque is variably defined but is often described as evincing a large lipid core, thin fibrous cap, positive remodeling, fissuring, and/or active inflamma- 15-17 The current gold standard for detecting this vulnerable plaque remains IVUS, but its invasiveness often makes it an inappropriate tool for asymptomatic patient evaluation. Therefore, given the current understanding of atherosclerosis, the foremost goal in noninvasive imaging is to prospectively identify patients who harbor vulnerable plaque. However, despite the pace of progress, the ultimate role in predicting cardiac risk still remains uncertain. The anticipation is high that cardiac CT potentially will be useful for risk stratification of asymptomatic individuals, but clinical applications are not yet supported by any convincing outcomes data. The Agatston scoring system was developed for EBCT 22 and has been widely used as the reference standard in quantifying calcified coronary atherosclerotic plaque. 23 It is defined as the calcified lesion area multiplied by a scaling coefficient that is determined from the peak attenuation in the plaque. 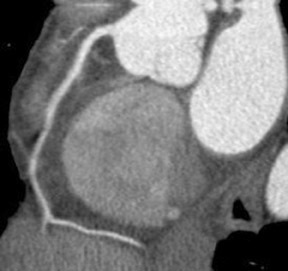 A constant attenuation threshold minimum of 130 HU is used to distinguish noncalcified from calcified coronary artery lesions. While the Agatston score provided good inter- and intraobserver agreement, the interscan variability of this system is notable, probably in part because of the variation in the scaling cofactor. Additional approaches are used to derive a calcium score, 23 including mass- and volume-based approaches, which provide estimates of the absolute mass or volume, respectively, of the calcium in the lesion. 25 Regardless of the method, a calcium score is generated, and the patient is provided with an age-related risk. Risk increases exponentially with increasing calcium in the coronary arteries. The absence of calcification is normal, small amounts raise the risk mildly, and an incrementally higher score shifts the risk upward significantly. Because much of the existing literature has been based on the Agatston score, most multidetector CT (MDCT) scanners can generate a score with any number of existing approaches, including the Agatston system. With the introduction of electrocardiographically (ECG)-gated MDCT, a temporal resolution of ≤200 msec made coronary imaging feasible. It was important to demonstrate that MDCT and EBCT results were comparable, thereby allowing investigators to leverage the clinical data that had accumulated for calcium scoring based on EBCT results (Figure 1). Although these measurements are dependent on multiple technical factors, one large randomized control trial (MESA) has yielded preliminary results that suggest that EBCT and MDCT calcium scores are comparable, and several studies have shown corroborating results. 32,33 Additionally, because the signal-to-noise ratio is higher for any given radiation dose with MDCT than with EBCT, MDCT is more useful for imaging findings other than coronary artery calcifications, including the coronary artery lumen (using contrast material), and structures outside the heart, such as the aorta and the pulmonary arteries (Figure 2). Thus, there is interest in performing contrast-enhanced coronary CT angiography (CTA) in addition to calcium scoring to evaluate patients for atherosclerosis, because of the additional information on coronary artery caliber and noncalcified plaque. Like its now-established role in other vascular circulatory beds, CTA now appears to have a significant role in the assessment of coronary vasculature (Figure 3). Of the 3 to 4 million conventional X-ray coronary angiograms that are undertaken annually in the United States, two thirds are diagnostic studies, performed mainly with the aim of verifying and quantifying the presence and extent of CAD. 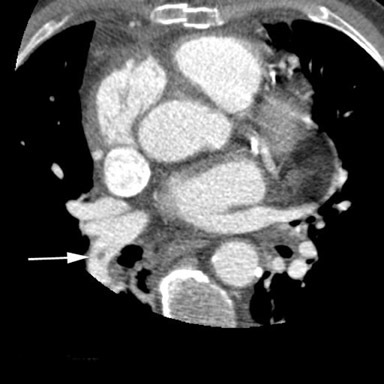 1 Unlike X-ray coronary angiography, which some observers have characterized as "lumenology" or "lumenog- raphy," CT provides concomitant assessment of the vessel wall. Assessing luminal caliber with conventional angiography fails to provide a complete portrait of plaque accumulation, given the ability of the vessel to adapt by positive remodeling (Figure 4). At our institution, a noncontrast ECG-gated coronary calcium-scoring scan is performed as the first part of the coronary CT examination. After appropriate timing-bolus optimization is carried out, the ECG-gated CTA component is performed using a dual-head iodinated contrast/saline injector to ensure a compact bolus. Retrospective gating of the data is preferred over prospective gating because it has fewer problems with motion artifact. All studies are interpreted via the source axial data set, with 3-dimensional and curved planar reconstructions also generated for problem solving and for use in consultation with referring physicians. Other centers will routinely perform image postprocessing and employ multiplanar reconstructions, maximum-intensity projections, and 4-dimensional capabilities in the initial assessment, not just for problem solving or consultation. With respect to patient preparation for the study, the general approach taken at UCSF for coronary CTA on a 64-slice MDCT is to provide pharmacologic heart rate control if there are no clinical contraindications to beta-blockade, by administering atenolol orally and/or metoprolol intravenously, as well as sublingual nitroglycerin for dilation of the vasculature. Important contraindications include severe asthma, heart block, hypersensitivity, decompensated cardiac failure, and nitrate usage (eg, sildenafil or tadalafil) in the preceding 24 to 48 hours. In our experience, cardiac motion can still decrease the diagnostic yield of the study if the heart rate is >65 beats per minute, despite the temporal resolution of the 64-slice scanner. Studies with 64-detector CT technology, which provides less motion artifact and improved resolution, have shown greater accuracy in assessing stenosis and in the characterization of noncalcified plaque. Leber et al 39 employed 64-detector CT to evaluate plaque in the proximal coronary arteries divided into 3-mm sections, with intravascular ultrasound as the gold standard. 39 This study reported accurate detection in 83% of the sections that contained noncalcified plaque, 94% of the sections that contained mixed plaque, and 95% of the sections that contained calcified plaque. In 94% of the sections, the absence of atherosclerotic lesions was also correctly scored. Importantly, the 64-slice MDCT also detected 70% of the sections with a lipid-rich pool and 90% of the sections harboring spotty calcifications, characteristic features that are suggestive of vulnerable plaques. Yet there is no question that the inherently limited contrast resolution of CT for differentiating types of tissue affects its ability to characterize noncalcified plaque. Other imaging modalities with greater soft tissue contrast, such as IVUS and magnetic resonance imaging, may provide better evaluation of noncalcified plaque, but ECG-gated 64-detector CT possesses both the speed and spatial resolution to investigate the entire coronary artery tree (Figure 5), giving it significant advantages as a diagnostic modality. Currently, coronary CTA does not reliably differentiate between lipid-rich lesions and fibrous tissue within a coronary artery lesion, 40 although several initial papers have shown optimistic results when comparing the ability of CT to assess the internal composition of atheromas with the ability of IVUS, 41,42 finding correlation between plaques with low CT densities and low-echogenicity lesions. 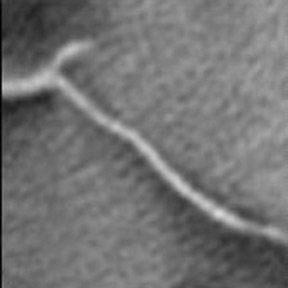 Nonetheless, sensitivity in detecting noncalcified plaques on a lesion-by-lesion basis for CTA is only slightly >50% when compared with IVUS, 42 reinforcing the point that, at this juncture, routine use of coronary CTA for evaluation of asymptomatic patients cannot be recommended, especially given the risks of radiation and contrast media exposure. 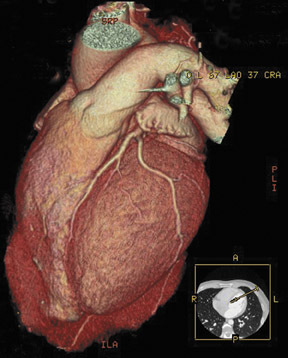 Cardiac CT is also being investigated for its ability to assess response to medical therapy, such as with statins, particularly in light of the potential risks from ongoing medical therapy, such as liver abnormalities and myositis, as well as the high cost of cardiovascular treatment. 46 A study from Callister et al, 46 which used coronary calcium scores that were acquired with EBCT to evaluate response to statin therapy, offered promising results. However, although these researchers were able to track stability and, in some cases, regression of plaque burden, 45 a main criticism was interscan variability in calcium scores. Newer MDCT approaches will likely provide a more reliable interscan measurement, as suggested by early results from the MESA and CARDIA studies. Therefore, if CTA is eventually able to effectively assess noncalcified plaque, this is the lesion that should show the most impact from statin therapy. Finally, detection of vulnerable plaque in high-risk patients or those refractory to medical management may trigger invasive therapies such as plaque sealing or stenting. The potential role of CTA in assessing response to therapy hints at the promise of personalized medicine in the 21st century. But the most interesting potential developments lie in its use as a noninvasive screening tool in high-risk, asymptomatic patients and in the initial evaluation of a patient presenting acutely with atypical chest pain. 2,30 The conclusions of ongoing prospective cohort trials, such as MESA and PACC, are eagerly anticipated, and, if favorable, will mean that the assessment of calcified plaque would be incorporated into existing risk-stratification and prevention guidelines. Furthermore, because atherosclerotic disease is not confined to the coronary bed, the detection of noncalcified coronary plaques might also suggest associated carotid and/or aortic disease. Therefore, finding vulnerable patients with ACS who have lesions prone to rupture would also identify patients at potential risk for dissection, mesenteric ischemia, and stroke. Lastly, as genetic profiling of the risk of acute myocardial infarction becomes a reality, there may be a place for evaluation of the early stages of atherosclerosis in high-risk patient populations so therapy may be initiated at a young age. This will be a challenge for MDCT technology to optimize visualization of the arterial wall and plaque characterization. 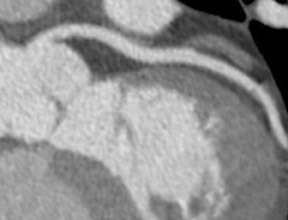 The future prospects of non- invasive CT imaging of coronary artery plaques are exciting, as the pace of technologic advancements will move investigators beyond feasibility studies to trials that address how modern high spatial and temporal resolution MDCT techniques can be cost-effectively integrated into the evaluation and management of CAD. The author thanks Dr. Charles Higgins and Dr. Gautham Reddy for their insightful comments and guidance. He also thanks Dr. Karen Ordovas for her able assistance in preparing the accompanying images. Noninvasive Coronary Plaque Evaluation by Cardiac CT. Appl Radiol.